What does a free society look like to you? Is it an anarcho-capitalist utopia where individuals are free to shoot fully-automatic AK-47s at their 1040 EZs in their private marijuana fields? Is it a harmonious society free from bureaucratic central planning, where people freely trade and engage in commerce? Is it your own apartment, with nobody yelling at you to do the dishes? What components are necessary to exist in a free society? Is it trust, independence, toleration, or peace? Is it the rule of law and the triumph of negative rights? Is it the absence of coercion? It’s a fun thought experiment, but I would ask you to add one thing to your vision. A free society is impossible without a healthy dose of responsibility. I know I sound like your dad, but just hear me out, okay? Liberty and responsibility are inseparable. At first glance, this might seem like a paradox due to responsibility being an inherent constraint on liberty. Responsibility is the absence of flexibility and free-flowingness. However, those who truly want liberty also want the self-responsibility entailed. In each person being their own master, that person also has to accept that the actions they take produce real consequences. That person then has to choose carefully what actions they take as they are the owner of the consequences. Without a fair sense of responsibility, self-directed individuals would not be able to produce a prosperous society. 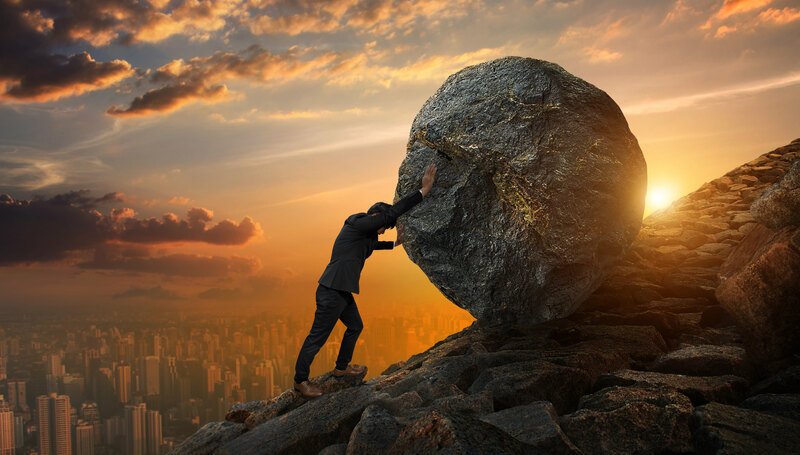 Having to carry the burden of consequences forces each individual to pick up their own weight and make each corner of their world a better place. For if they do not pick up the burden of being responsible, then the world falls into a chaotic place, a place of disregard. It is in this sense that responsibility is a necessary component of liberty. This is why we should take liberty and responsibility seriously. Even though a man may not know what is best for himself, nobody besides himself knows better. It means that we let individuals decide how to use their capacities in the best possible way to better serve society. It allows for human flourishing in terms of comparative advantage. That is, we let people hone their skills and unique abilities to then utilize those skills in a particular sect of the world. You could be an amazing musician, a talented carpenter, an intellectual, or a graphic designer among other skills. Basic economics tells us that the world is better off if countries trade freely the goods they are best able to produce, so why not extend that logic towards individuals? Self-responsibility allows for humans to cultivate their best skills, virtues, and capacities. Without self-responsibility, there is everybody’s responsibility. And with everybody’s responsibility, there is nobody’s responsibility. That is the land of inaction. If we want an effective, capable society, then we allow for liberty and responsibility to exist. This belief in success depending wholly on yourself is also the best way to learn. It is the acceptance of responsibility which allows you to learn through consequence. If we weren’t held responsible for our actions, whether they be right or wrong, we wouldn’t learn to change our actions to influence outcomes. This is the problem with social welfare policies, bank bailouts, and other situations involving moral hazard. Benefits are internalized, and costs are externalized. It allows companies and people to fail time and time again, only to continue earning a guaranteed profit. It is no wonder that our systems are inefficient; nobody is held accountable for failure. A society built on responsibility for one’s own shortcomings is the only way we can learn, and by learning we are incentivized to create better results for ourselves and, in turn, better systems. There it is. Is your life lacking in meaning? Is your life full of nihilism? Are you resentful? Try Dr. Peterson’s healthy dose of responsibility. This might pull you out of that depressive rut you’ve been stuck in for quite a while and allow you to see the light of the world. Picking up responsibility means having something worth suffering, it means having a place in the world, it means preserving beauty in the all-consuming reality of entropy. Don’t believe in the importance of responsibility just yet? Let me direct your attention towards Austrian psychiatrist, esteemed author, and holocaust survivor Viktor Frankl. Frankl was born in Vienna in 1905. He went to the University of Vienna where he studied medicine and later specialized in neurology and psychology. In 1942, Frankl was deported to the Nazi Theresienstadt Ghetto. He spent his time there working as a psychiatrist helping fellow prisoners overcome the grief and tragedy that came with the imprisonment. He was later deported to Auschwitz concentration camp and then to a few more until he was liberated in April 1945. Here is the powerful thing: if a man such as Frankl can be subject to extreme despair in concentration camps and come out with an optimistic attitude about meaning and responsibility, then you, too, are capable of finding meaning in your life. Quit making excuses for your pitfalls and adopt as much responsibility as you can. If people can witness their beloved ones starved to skin and bone only to have their suffering ended by gas chambers, then you can get past whatever troubles you have and live a life of purpose. It’s not an easy thing, but you can start by adopting small responsibilities today. It is an actionable philosophy. Liberty and responsibility are inseparable. Not only is responsibility a necessary condition for a free society to prosper, it will also help you become the best person you can be. Responsibility allows for you to cultivate the skills you are best at and then to share those skills with the world. This creates a better society and a meaningful existence. Having responsibility gives you a sense of purpose. Create a better you, create a life of meaning, and by that process, you will be part of creating a better world.